Jazz up your classic look with the crisp, clean style of the Kate Spade New York® Broome Street Poplin Ruffle Shirt. Long sleeves with button cuffs. Cascading ruffles along the sides. Product measurements were taken using size SM (US 2-4). Please note that measurements may vary by size. 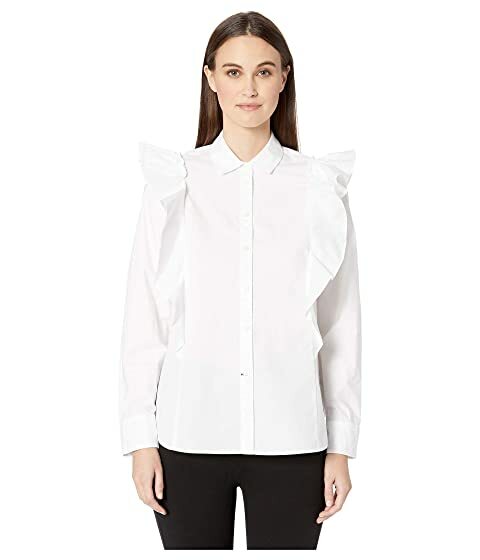 We can't currently find any similar items for the Broome Street Poplin Ruffle Shirt by Kate Spade New York. Sorry!